It also took me forever to figure out how to NOT have the first sentence of the manuscript printed twice at the beginning of each chapter (or get rid of my binder chapter headings and just have ONE chapter title. WOW, thank you Gwen, I just downloaded the update this morning and I was going to study the changes tonight. You saved me a lot of time. I wish you a very nice time in Boston. We live in Montréal very close to Boston. It is a very very nice city. Hi, Lison! These are some of the highlights, but there’s more. I Gwen, how wonderful to have your kid learn a new language when they are Young. They are quite luckey. I learned English when I was more than 25 years. My accent is terrible. I love Montréal. For me it is a beautiful city. French in the east and English in the west side of the city. You will love it. Send me an email when you will come, it will be our pleasure to receive you for a coffee or a beer and tell you about our city. Hi Gwen. Thanks for the summary! I just updated mine to 1.7.1 but wasn’t really sure what was in it. On another note, I’m thinking of buying your book but had a couple of questions before I do. Do you cover a work-around for back matter in the Windows version? Obviously if you put back matter into the Windows version then it will be labelled as a chapter when you compile. Also, professional editors like to use Word documents and Track Changes. 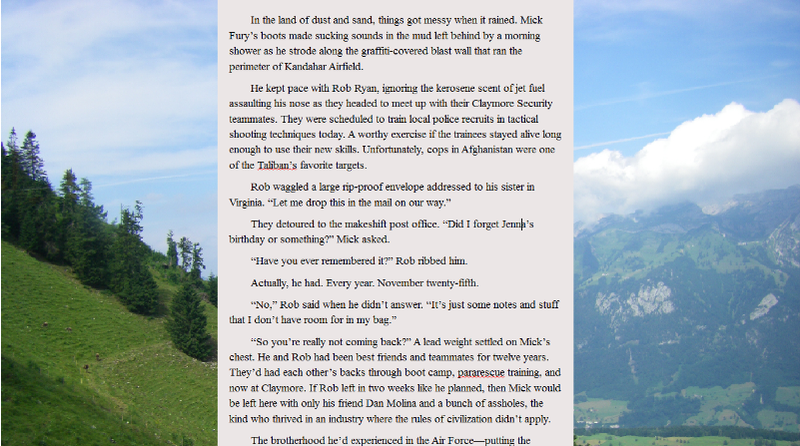 Is there a way to get a Word document back into Scrivener to compile once the editor has finished? If these are covered in your book then let me know and I’ll just purchase. If not, can you direct me to some information on your website or elsewhere? Thanks again. John S: I don’t cover a work-around for back matter in the book. The Mac version has the same back matter issue. I avoid it by not using a folder, but just putting back matter documents at the same level as the chapter folders (or you could include them in the last chapter folder, if desired). For those that need to be different depending on the retailer, I name them accordingly and include/exclude them in compile as needed. Changes made in Track Changes don’t import well. You’ll basically get both your original words, plus the changes made, all mashed together. Comments will import as comments, I believe. To avoid this, you have a couple of options. You could just refer to the editor’s notes on your Word document but make your changes in Scrivener (this is what I do, see this post for more: http://gwenhernandez.com/2014/02/19/revisions-in-scrivener/). Or, you could make all of the changes in Word, then import that document into Scrivener and move your old version to a folder outside of the Draft/Manuscript folder. If you’re using # (or something else) to mark your scene breaks, you can use Import and Split to divide it up for you quickly. Thanks for the quick response, Gwen. 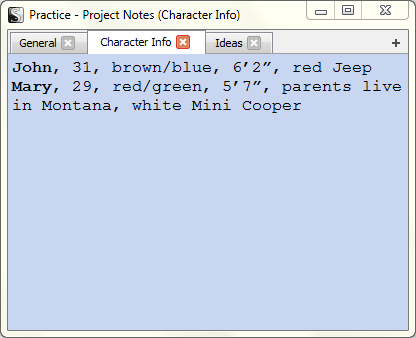 Regarding the back matter, if I put an epilogue or CTA page on the same level as chapters then Scrivener will label them with chapter headers. For example, the novel I just wrote has 81 chapters. 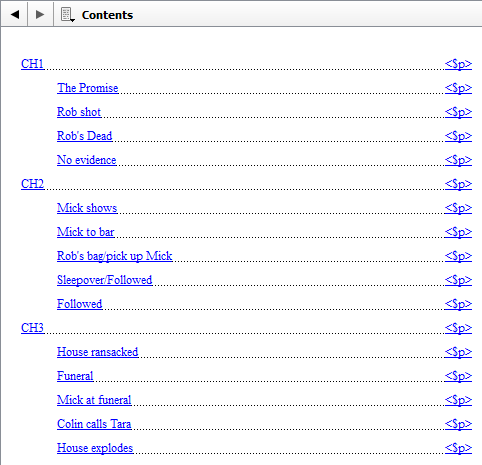 If I add an epilogue then it will be automatically labelled as “Chapter 82” on compile, and not “Epilogue”. How do you make sure the chapter headers don’t appear? As for the Track Changes import, it looks like I’ll just have to use a professional formatter, which I had planned on doing this time anyway. John S: If your chapters are documents and not folders, then yes it will label the back matter items as well. To get around it, you can mark them As-Is in the Contents pane of compile. You just have to be sure the document is formatted in the Editor the way you want it to compile. Good luck! Thanks for this info–but have question—RE TOC: once i copy as Scrivener links (i tried the TOC the other way too) the links are wrong. They are referencing the files on my hard drive and not in my document. So do i have to pull the doc into Word and change all the links individually? And if so, what do i change them to, to make them functioning TOC’s in an ebook? Kelli: Now that I’m rereading my post, maybe I wasn’t clear. The items to select should be folders and documents in your Binder (specifically the Draft or Manuscript folder since that’s where your compilable writing is). Are you selecting items in your Binder to copy, or items from somewhere else? Yes, i select the items in the particular manuscript folder, which are in separate chapters, under the heading folder for that book (i wish I could post a screenshot). But all else in compile works fine. I’ve tried edit>copy special>copy documents as ToC –also tried “copy as Scrivener links.” Neither gives me a working TOC in the preview of the finished book–the links are essentially broken ones, since they point to those docs on my hard drive, not to the sections/chapters in the book. I am using headings in Scriv and thought it would find those to make the document TOC. I made this work on some previous book but now can’t recall which or how i did it. I really don’t want to go back to that tedious one-at-a-time bookmarking thing i have to do for Smashwords to accept the file. Kelli: That’s so weird. I have no idea how it would be linking to files on your hard drive. Sorry. 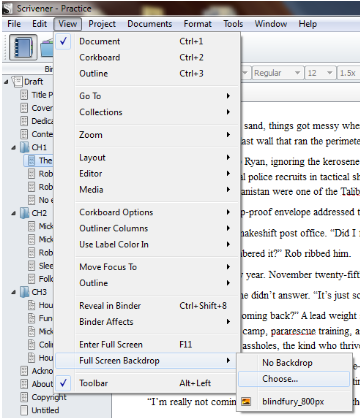 This might be one to take up with tech support: http://www.literatureandlatte.com/support.php#scrivener. Good luck! Hey, Gwen, I’m trying to create a TOC. I’ve followed the directions, and get a list of Chapters and that symbol. When I compile to PDF, the symbol still remain and don’t turn into numbers as they seem like they ought to. Is there some setting I’m not doing? Thank you. Christina: The first place I’d look is on the Transformations tab of the Compile window. Make sure you don’t have “Remove All Hyperlinks” selected. Yes, I deselected the Remove all Hyperlinks checkbox, and I’m still having trouble. OUT OF LONDON AND INTO THE WORLD…. OUT OF LONDON AND INTO THE WORLD	?? So what else can I try, do you think? Christina: It looks like you’re getting help on the forum, and you can’t do better than Ioa (AmberV) for help. Good luck! For anyone else interested, the thread is here: http://www.literatureandlatte.com/forum/viewtopic.php?f=2&t=31654&start=0&hilit=table+of+contents+%3F%3F.